Take me back to where your life was 12 – 14 years ago. 12 – 14yrs ago, I had not long graduated from Brunel University with a 1st class honours degree in Mechanical Engineering. I was in love or appeared to be in love whilst embarking on my first graduate scheme job in the chemical industry. I was pretty content that I was on the path to living my life as ‘intended’! Some 12 years ago I had my first child with who I thought would be my forever (don’t we all!) and sadly I fell into the statistic of single mum status when she was a year old. The truth is that, in hindsight, we were both young and barely knew ourselves yet we had this grandeur expectation of each other as parents. I never thought that I, a first class Mechanical Engineering graduate would be queuing up outside Lambeth Town Hall waiting to be issued council/government housing for my daughter and I. It was at that point I thought ‘f***! I didn’t follow the memo’. Thanks for your honesty, there’s so much vulnerability in your story and it’s really needed. Talk to me about how you’re feeling today. How proud are you of yourself out of 10? Ooooh ahh! About 9 out of 10. I’m still in shock as I sit here in jet lag land after opening my first fitness studio in Brixton and now back in Sydney, Australia to continue doing ‘life’. I get scared sometimes that if I stop long enough I may just have to admit that I am batshit crazy to the world. But seriously, I am super proud of myself and honestly, it hasn’t sunk in that this quiet, Naija girl made one of her big arse dreams a reality. It’s surreal but also magical and makes me want to start manifesting more! Why was it important for you to open the gym officially on September 8th? Sadly, I lost my dad a few months ago. They say death has a way of cracking things open. Amongst a number of different emotions, I felt sad that I didn’t get to have all the conversations I wanted with my dad. My dad’s earth day is the 8th of September. It was important the studio opened on that day as I so wanted him to be part of that story and he was. What made you want to open up a franchise instead of starting your own gym? My risk appetite. I have started a few businesses before and some have failed stupendously. I remember losing £500 on my first attempt at having a fitness weekender event. That hurt so so much especially as I was barely surviving on my salary as a single mum. Moving to Australia gave me a lease on life I didn’t know existed. It was like being born again in a non-biblical sense! I told myself if I was to start over again, what would I do differently and my inner voice said, ‘take more risks!’. Not just for the fun of it but because my biggest growth spurts would happen here and the rewards would be great! Opening up a franchise gives me support, guidance and a tribe that roots for my success because ultimately we are one big team. What I learn on this particular journey will only help other business ventures I have in mind. I like that you touched on failure, it’s something we don’t talk about enough. How long did your business plan take to put together? Failure is just another way of defining success. How do you know or enjoy the beauty that is success without failure? My business plan, in truth, was reverse engineered. Part of my growth journey has been to listen to my gut and from the wonderful Tony Robbins UPW conference I ask myself ‘why?’ a lot. My why is important as it allows me to quickly discern if whatever I am doing is nourishing my soul and desire for success (my definition of success). I find when I focus on my ‘why’ my business plan morphs together. So to answer your question – it took me 48 hours to write my business plan. You must have been passionate to write a business plan that quickly. 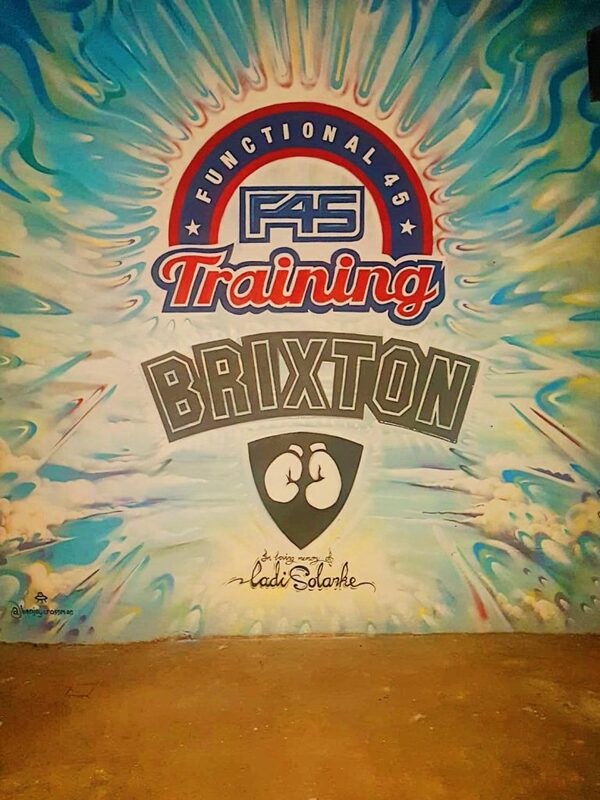 Where did you find investment for your gym in Brixton? How much did it cost to start? 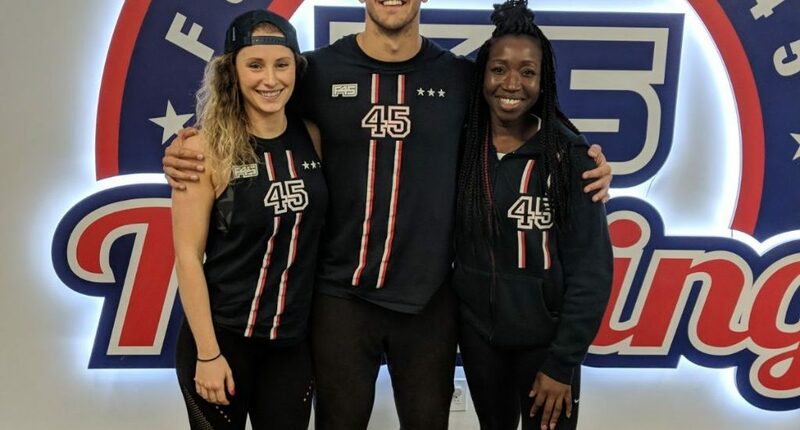 Most of the investment came from my loans from other business ventures but the sale of my first home helped make a big dent in the growing cost of setting up F45 Brixton. Even though my trade is as an engineer in the construction industry, the project costs pretty much escalated at a ridiculous rate. Staying focused on my ‘why’ was one thing that made me slay in my lane and get this studio open. To put it mildly, the investment has cost 2 – 3 times more than expected and in excess of £250k. And what has this journey with money taught you so far? I love this question! It actually forms part of my 3 Simple Steps to Success program I am about to launch to the world! Your Money Story! What is your Money Story? Firstly, this journey has taught me that money is either your friend or enemy and my bets are that it should be the former! I’ve learnt not to be afraid of it and view it as energy! It comes and goes! When you hold on to it too tight you begin to idolise it and sometimes it just doesn’t flow freely as a result. My brother also shared a painful but obvious fact ‘you’ve got to spend money to make money’ Gad damn! Why did nobody tell me this? Another reality about money is that in its physical form it is just paper, it’s what you do with the money that counts. I love this! Thank you so much for allowing me to interview you. You’re amazing and I’m so proud of you!